1.1 Did an iOS update made your iPhone sluggish? Or you just want to revert back to an older iOS version? Whatever the case, here’s a solution for you. 1.1.1 We know that sometimes our older iPhones would get notifications that we can update to a newer iOS versions just like the latest iPhones. After doing that, the update proved to be too much for our aging iPhones. It’s now slower and not even close to usable. 1.2.1 Plug the larger end of the USB cable into the bottom of your phone. Insert the smaller end into the port on your computer. Your computer will automatically recognize your iPhone. 1.2.2 Browse to the “iPhone Software Updates” folder to locate your previous version of iOS. In Mac OS X, open your “Library” folder, then “iTunes,” then “iPhone Software Updates.” In Windows, open the “Start” menu and type “%appdata%\Apple Computer\iTunes\iPhone Software Updates” into the “Search” box. 1.2.3 Turn off your iPhone by holding the “Power” button at the top right corner of the phone for several seconds. Slide the arrow on your touch screen to power down the phone. Leave it off for five seconds. 1.2.4 Press and hold the “Power” and “Home” button, located at the bottom center on the face of the phone, for 10 seconds. Release the “Power” button after this time, but continue holding the “Home” button to enter Recovery Mode. 1.2.5 Open iTunes if it is not already open. The software will recognize that your phone has entered Recovery Mode and will prompt you to restore it. 1.2.6 Click “iPhone” beneath the “Devices” heading in the left sidebar of iTunes. Press and hold the “Shift” key, then click the “Restore” button in the bottom right of the window to choose which iOS file you want to restore with. 1.2.7 Select the file for your previous iOS version from the “iPhone Software Updates” folder you accessed in Step 2. The file will have a “.ipsw” extension. 1.2.8 Allow the installation to complete. This usually takes about 10 minutes. You will see a confirmation window once installation has finished. 1.2.9 Download and install RecBoot (see Resources). This utility will allow you to quickly end Recovery Mode on your phone and finalize the installation of your previous iOS software. 1.2.10 Open RecBoot and click the “Exit Recovery Mode” button. 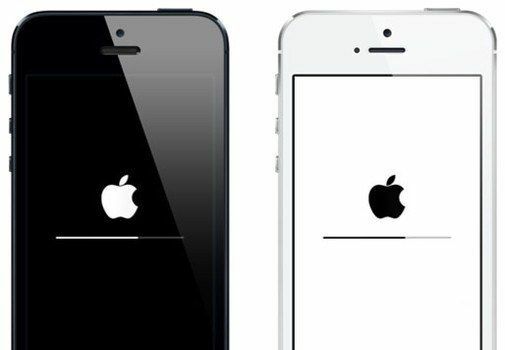 Did an iOS update made your iPhone sluggish? Or you just want to revert back to an older iOS version? Whatever the case, here’s a solution for you. We know that sometimes our older iPhones would get notifications that we can update to a newer iOS versions just like the latest iPhones. After doing that, the update proved to be too much for our aging iPhones. It’s now slower and not even close to usable. Plug the larger end of the USB cable into the bottom of your phone. Insert the smaller end into the port on your computer. Your computer will automatically recognize your iPhone. Browse to the “iPhone Software Updates” folder to locate your previous version of iOS. In Mac OS X, open your “Library” folder, then “iTunes,” then “iPhone Software Updates.” In Windows, open the “Start” menu and type “%appdata%\Apple Computer\iTunes\iPhone Software Updates” into the “Search” box. Turn off your iPhone by holding the “Power” button at the top right corner of the phone for several seconds. Slide the arrow on your touch screen to power down the phone. Leave it off for five seconds. Press and hold the “Power” and “Home” button, located at the bottom center on the face of the phone, for 10 seconds. Release the “Power” button after this time, but continue holding the “Home” button to enter Recovery Mode. Open iTunes if it is not already open. The software will recognize that your phone has entered Recovery Mode and will prompt you to restore it. Click “iPhone” beneath the “Devices” heading in the left sidebar of iTunes. Press and hold the “Shift” key, then click the “Restore” button in the bottom right of the window to choose which iOS file you want to restore with. Select the file for your previous iOS version from the “iPhone Software Updates” folder you accessed in Step 2. The file will have a “.ipsw” extension. Allow the installation to complete. This usually takes about 10 minutes. You will see a confirmation window once installation has finished. Download and install RecBoot (see Resources). This utility will allow you to quickly end Recovery Mode on your phone and finalize the installation of your previous iOS software. Open RecBoot and click the “Exit Recovery Mode” button.